The new waterfountains are an excellent idea. We should roll them out all across london. I suspect it would save huge quantities of plastic if you knew that free water was always available. I think it's a great idea, and agree that drinking fountains should be spread across London. My home town (Rome), is full of drinking fountains, and now a new model has been introduced that dispenses both still and sparkling water. 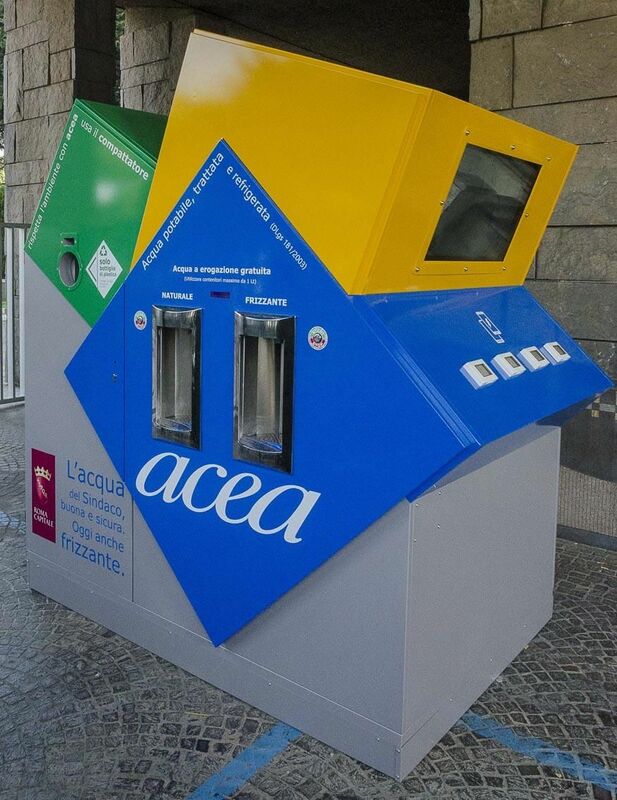 These free fountains also have charging points for mobile phones and incorporate a compactor bin for used plastic bottles. Well done, Borough Market. I hope others follow their lead. (I know it's out of area but an iconic London institution too). And so does Kew Gardens! Every park had a drinking fountain years ago. Public drinking fountains are an absolute game changer. This is truly unique and has never been tried before. I do hope they catch on. What other brilliant ideas do they have up their sleeve? A horseless carriage, perhaps or maybe some type of powered flying machine. I've always carried a litre drinking bottle around with me as a habit from my distant travels and, as now, working on a construction site, a second. Public fountains will certainly make it easier to keep them topped up; now we just need the return of public toilets to deal with the consequences of all that extra fluid.